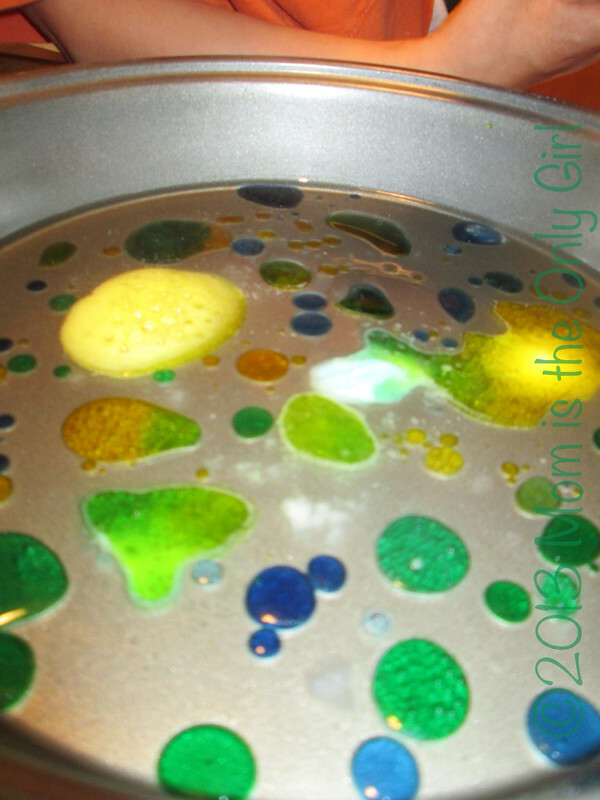 Earlier this week I posted a simple, fun oil and science experiment. My kiddos loved this so much, that they asked for it the day after we initially did it! I liked it too, so I pulled out the materials again (an edged dish, cooking oil, food coloring, medicine dropper) but this time I got out the vinegar and baking soda as well! Such a fun twist! Once again I coated the bottom of the dish with a small amount of oil. Then I poured a bit of vinegar into several medicine cups and added various colors of food coloring to them. The boys grabbed their medicine droppers and had fun again with the colors. I handed them a couple of small cups of baking soda. They looked at me like I was crazy, then each picked up a pinch and dropped it into their dishes. Can you guess what happened? You should try it!